Will and Estate Lawyers in Delaware County, Media, Chester County, Pennsylvania | Forbes Bender Paolino & DiSanti P.C. With constant law changes from the federal government, along with the intricacies of Pennsylvania law, it is crucial that everyone have a proper estate plan. The Pennsylvania Wills & Estates attorneys of Forbes, Bender, Paolino, & DiSanti are here to help you make certain that the largest possible amount of your estate ends up in the hands of the people you choose and not the state or federal government. Without the proper guidance, it is very easy to make serious mistakes that have serious consequences for your loved ones. For example, failure to have a will causes your estate to go through intestacy. The law of intestacy determines how much of your estate goes to various members of your family. If you don’t have any close family members the law controls how your estate will be distributed. If you don’t have any relatives at all, your estate goes to the Commonwealth of Pennsylvania. 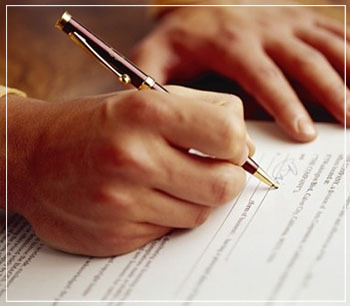 If you want to have control over what happens to your property, it is crucial that you have a proper will. A will is only a portion of a proper estate plan. For example, if you own or are part owner in a company, business succession planning is crucial for continuation of your business or to make certain that your business ends up in the proper hands. Perhaps you have children, and want to make clear what family member or friend will become your children’s guardian. Or maybe you desire to plan for your grandchildren’s education. Each of these items can be addressed in an estate plan. In the end, your goal is to make certain that you provide for your loved ones. Our goal is to help you do so, while at the same time minimizing your costs and maximizing the benefits to your family, friends, and others you desire to provide for after you pass on. Please feel free to contact the Wills & Estates attorneys at Forbes, Bender, Paolino and DiSanti to find out how we can help you manage your estate.